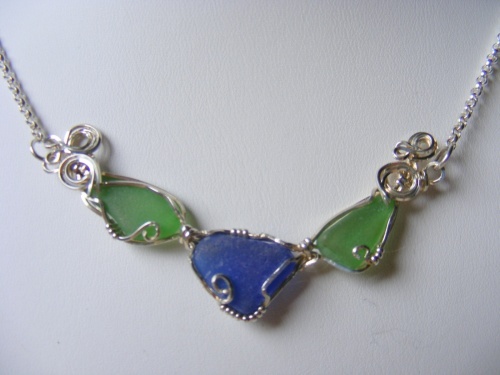 This pretty choker is made of a sterling silver rolo chain with a focal of 3 pieces of authentic seaglass, 2 beautiful dk seafoam green and centered by a cobalt blue piece. The design is my original and so guarantees one of a kind. Measures 18".